Enquiring Mind. Cutting Edge. Bleeding Heart. The musak has come back on, so I have to lean forward in my chair so that she can hear me. The easy-clean pad squeaks under me. One of my legs is going numb. I agree that it probably did damage her eyes. She is remarkable. ‘This thing with your brain... your head. I’m not against it; I think it’s fascinating. But how do you...? How does it work?’ she asks. ‘Well, the brain is a physical thing. It’s made of atoms, like everything else. So I’m very curious to know whether it can be “put on hold” in some way. They idea of cryonics is to do that using ultra-cold temperatures to stop all chemical reactions – to stop all decay. It’s an experiment. It’s about potentialities – I’m trying to leave open the small possibility that some future technology might fix me and revive me,’ I explain. ‘The brain is amazing. I sometimes wonder if we have any idea how to use it properly,’ she says, smiling. Her hand smooths down the cover of the newly signed book. The Catholic priest two sensible chairs across the lounge from us raises his voice as he switches into formal prayer mode. Is this a competition? He is kneeling in front of one of the other residents, eyes tight shut, holding her hands. Ruby is oblivious. We continue our catechism. ‘I’ll bet he could see that you were curious, looking for something. A lot of people mistake that for some kind of “spirituality”,’ I say. ‘Oh, I go to the church service every week,’ she says. ‘When I was living up north – when I was married – my husband started to drink a lot. He beat me sometimes,’ she says. ‘I could take it, most of the time,’ she says. ‘I didn’t stop thinking. I suppose I was in a world of my own. Then, later, I was taking a lot of co-codamol, and that didn’t help.’ This without a hint of bitterness. The musak is now a 60s/70s pop compilation. Telstar, I think, I used to have that somewhere. Odd tracks. Not like stuff they usually play in here. ‘Not at all,’ I assure her. ‘I’ve really enjoyed our chat.’ I stretch my numb legs and stand up. Oh how she deserves another chance. Another crack at this thing. Why did nobody take the time to listen to her properly, to... nurture her? She beams and blinks her two wide coronas at me before joining the shuffling, zimmering throng leaving this mortal lounge for the dining room, and the next scheduled meal break. A bubble in a volume. 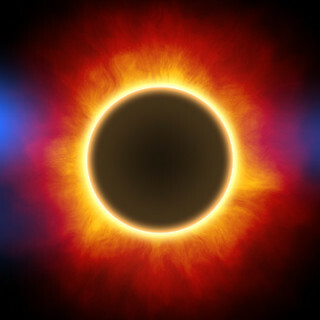 Because we are only tenuously connected to the ‘outside world’ – there are many more interconnections within our brains than between our brains and our sensory organs – it should not surprise us that our ‘inner worlds’ can be this way. Naturally-selected-for tuning to only a tiny fraction of the electromagnetic spectrum limits humans (and all other animals) to what biologist Jakob von Uexküll termed the umwelt (‘environment’) of our senses. 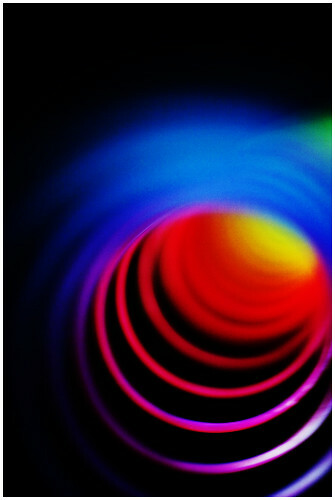 While kit, scope and specialisation vary between lifeforms, all biological sensoria (‘sensory apparatus’) are electromagnetically narrowband. Humans, however, face the added bandwidth-limiting problem of reflexive consciousness. So busy are our neurons (particularly our neocortical ones) compounding existing interconnections in their ‘fire together, wire together’ enthusiasm for group hugging that they sometimes render us almost insensate. Lost in our own incessant, jabbering narratives, real-time attention becomes subsumed, often only arising when called upon by our instinctive ‘lizard brain’ alert mechanisms. I invite you to pay attention to anything – the sight of this text, the sensation of breathing, the feeling of your body resting against your chair – for a mere sixty seconds without getting distracted by discursive thought. When I say ‘not present’, I mean it in two senses: in the sense that neither participant in the discussion exists and in the sense that you are in not ‘in the moment’ while engaged in it. As Harris points out in his essay, detached, discursive thought is immensely useful for planning ahead, for learning, for abstract reasoning and for driving a host of other human cognitive functions. Nevertheless, the consequences of failure to see the wood of the here and now for the ramifying scrub of reverie and figment – and of failure even to recognize the scrub as scrub – can be severe. Harris identifies it as ‘a primary source of human suffering and confusion’. We should not assume that thinking in a particular mode is a good thing – for us, for others, for our world – just because we happen ‘naturally’ to think in that mode. Unmanaged, rampant scrub-thought grows a painfully knotted self. Although ostensibly a gentle tool, mindfulness may act as machete. Tweaking our minds with tailored attention is useful and important, but it only works when we recognise the self for what it is – a construct, a con-struct. In this world all too often influenced by horribly ramified selves, we are conned into believing that that is the way to be. What a sad joke! The obsessive hoarder of money, power, celebrity or other hollow abstracts is a monomaniac. He is not unthinking, he is over-and-over-and-over-thinking hopelessly constricted and shallow fancies. At the other end of the scale, deep thinkers may stultify their minds with thoughts prodigious but dreadfully self-injurious. Inward and inward they go, mourning countless losses as glimpses of states of mind less brooding, less burning slip away from them again and again. Behold the void of melancholia – the singularity of mental suffering. Some use religious contemplation, trusting prayer to lift what Harris calls ‘the veil of discursivity’. But far too often religionistic brooding births a monstrous super-self. The product of fantastical scrub-thought, this impossibly dual thing grovels tiny on its knees yet stands tall and wide enough to blot out the sun, the stars, the past, the future and all the multi-layered cynosure of the cosmos. Enchained by myth and custom, the religious super-self froths, rolls its eyes and snaps wildly at empty air. Feed it at your peril. To a greater or lesser extent, we are all confused and suffering. Taking a scientific view and learning about neurological processes may not free you from mental anguish, but it will provide you with new schemata for understanding it. Switching schema from time to time allows you to break the discursive flow, if only tempor... the last ten min… negative thoughts about her because she told another friend that I was treating her with contempt by assuming that he’s obsessed with... shallow... mortgage... roof tiles... that paint... wrinkles... ugly... car... spiteful bitc... she said... blood... inadequate... Whoa! Whoa! wHoA! Where did that come from? What was its genesis? THE. THE. THE. Physical things in physical brain. Connections, neurochemistry, plasticity, recursive loops, negotiable loops, building my brain, building my brain. I cannot adequately represent this schema-switching in words. But you will know it when you think it. Find your technique. Learn to drag yourself free of your own mental mire. At stake is your equilibrium, your happiness, your life and the lives of others. Would a scientist creating a human-equivalent brain from scratch (let us call it a positronic brain) design it to expend most of its processing power on discursive thought? Probably not. It is likely that some level of reflexive, self-reinforcing thought would contribute positively to this synthetic brain’s operation as a human-equivalent one. Nevertheless, without safeguards against predominating levels of such thought this positronic brain might go swiftly negatronic – kernel panics, buffer overflows and system crashes might blight its operation to such an extent as to render it dysfunctional. You do not design your brain from scratch. It is what it is – naturally-selected-for, biological, chemoelectrical, unfathomably complex. But you do get to intervene in its ongoing development. Although the concept of neuroplasticity is now widely discussed (but also, unfortunately, widely abused), it is still immensely difficult to get across to people that they have some measure of control over their thought-flow, and therefore, over the physical configuration of their brains. Why should this be? We accept readily the idea that learning can restructure our brains, but many resist the idea that discursive thought – our messy, meandering self-narratives – can too. I think, perhaps, that notion is too raw for some – too visceral, too meaty and too demanding of a response. And at the same time, it is desperately abstruse – there’s nobody and nothing to respond to. As a pragmatic reductionist, however, I find it oddly reassuring. Although no inner friend exists in your mind to provide succour (and conversations with such a ‘friend’ would only compound the problem), self-correcting quasi-interventions are possible: mindfulness, schema-switching, intense pain (perhaps best avoided), empathetic face-to-face conversation. Carefully-controlled chemical intervention may work also, if that is your thing. This is all that each of us has in this wide world – this tenuous connection to reality, this oft-distorted hall of mirrors that we call ‘mind’. That is a brutal truth, but also an empowering one. Tangled scrub-thought need not be our primary mode. Can we learn to hack it? Since the recent publication of Kim Suozzi’s story in The New York Times, interest in cryonics has spiked. This is hardly surprising, as Kim’s story is such a heart-rending one. It has evoked much polarised debate. I discuss Kim’s case briefly in my book Frozen to Life. Like me, Kim chose neuropreservation – technically, preservation of the brain, but in practice, preservation of the entire cephalon (head). Unlike me, she is now a de facto ‘cryonaut’ – a person actually cryopreserved. At Alcor’s facility in Scottsdale, Arizona, her head will remain indefinitely in a ‘neurocan’ inside a stainless-steel dewar, bathed in liquid nitrogen and monitored constantly by ‘crackphone’. I know it sounds bizarre. ‘Cryonicists’ like me are well aware that the majority will find this process at very least distasteful. Some view it as nothing but a weird 21st-century burial practice, perhaps comparing it to Pharaonic embalming. Others see it as desecration of dead bodies. Most critics highlight cost, accusing Alcor and other cryonics organisations of swindling the vulnerable into parting with $80,000 plus for a chimera of immortality. What the critics don’t come up with is an alternative. One consequence of sapience is that persons don’t want to die. What are we to do about this plangent cry for continued existence? Tell people to get back in their rotting-boxes? Neuroscientist Ken Hayworth supports cryonics research but criticises Alcor’s preservation methods. His Brain Preservation Foundation is developing a new method – Aldehyde-Stabilised Cryopreservation (ASC) – involving use of glutaraldehye fixative to stabilise brain ultrastructures such as neurons and neurites by crosslinking proteins. ASC is aimed at preventing the osmotic dehydration, and consequent tissue shrinkage, seen in fixative-free cryopreservation methods. Hayworth is involved in a heated debate with Alcor about cryopreservation techniques. This is science in action, and it is healthy. Less constructive is his criticism of Alcor’s financial model (suggestions from him on improvements to Alcor’s insurance-funded, non-profit set-up would be welcome). Hayworth understands the importance of trying to preserve brains, and to preserve them as best we can using the available technology. Poignantly, he compares destroying brains in the customary manners to the burning of the Great Library of Alexandria. I take a similar line in Frozen to Life, where I ponder how future civilisations will look upon our wanton failure to preserve these most unique and irreplacable data stores. I find this behaviour crass and negligent. But methodological debate aside, Hayworth and the cryonics organisations agree that brain ultrastructure preservation with a view to future data extraction – or even quickening – is a worthwhile pursuit. Seeing so much to gain, and the probability of success (at some time in the future by some future method) as greater than 0, they proceed with their immense endeavour. As an Alcor member, I’m hardly an impartial observer of this debate. My plea is simply for intellectual rigour and empathy from both sides. I find current death customs crass, but I understand something of where they came from and why they matter to people. Absolute dismissals of the scientific efforts of cryonicists rankle, but I understand why scientists guard against ‘false hopes’ created by pseudo-scientific claims. As a non-scientist advocate of cryonics, I merely expect neuroscience researchers both supportive and critical of its claims to attempt their falsification. That is their job, after all. I think, in this way, we will eventually come to see cryonics at least as a pattern-storage technology, and certainly no longer as an adjunct to death rituals. Probabilistically speaking, Kim’s chances may be infinitesimally small, but can you be absolutely sure that they’re precisely equal to 0? For the last four years, I've been writing a book. 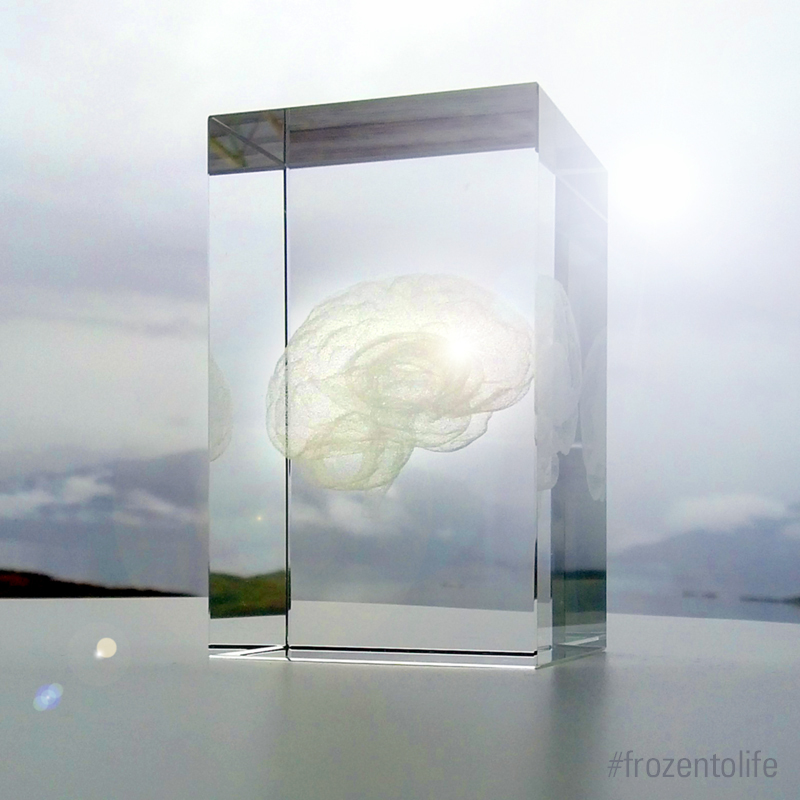 Frozen to Life: A Personal Mortality Experiment is about death, life, severed-head cryonics, Buddhism, love and philosophy of personal identity. People keep mistaking it for a fabrication, classifying it as fiction or science fiction. If you read it, something might happen to your mind. Something happened to mine while writing it. Buddhism says that all existence is ‘conditioned’ – it is all conditional on other conditions. Like the theory of relativity, the theory of conditioning allows no absolutes. I am not a Buddhist. It would make no sense to be one, because belief is a form of conditioning. Buddhism is a self-solving metaphilosophical riddle designed to break minds free of all forms of indoctrination. It also says that conditioned existence is suffering (dukkha). As all existence is conditioned, then, all existence is suffering. How can that be? We seem to know when we are suffering as opposed to happy or joyful. But perhaps we don’t know. Even when feeling full of joy, we don’t know the scope of joy, so we don’t know if we are at the suffering end or the joy end of the joy spectrum. And no such spectrum exists. The Buddha is often depicted with a smile on his face, because he has solved the riddle. He gets the joke and can’t help smiling about it. This might seem like a self-satisfied way to behave, but he has sidestepped that accusation by becoming soulless (anatta), and so has no self to be satisfied about. Constant chronic pain is a brutal form of conditioning. A person suffering in this way cannot describe to a pain-free person what her existence is like. When asked to describe her pain, she under-reports it. The chronic pain sufferer lives in a parallel universe. Her universe – a hell universe – is like our own but fuzzier and harder to pay attention to; sometimes, little exists of it but the parts causing perception and maintenance of agony. She may like Buddhism, and may understand fully that her pain is conditioned. But that does not help her much, because the conditioned path from her pain universe through the ‘normal’ universe to enlightenment is on fire. The universe of depression is fuzzy too; and neutron-star heavy. Depression-sufferers are often highly-intelligent people who know much about the science of their condition. Nevertheless, this knowledge only helps the depressive when he has a good day. Then, he can rationalise his bleak moods and see them as neurochemical conditioning. On days where his mood warps to its dark pole, rationality provides no solace. That is because he is just as rational on his bad days. He sees his life for what it is, and he is correct, just as he is correct on his good days. The trick would be to find a way of making the correctness of his analyses matter less to him, and indeed of making certain forms of self-analysis less important to him. This trick is only obvious and funny on his good days. On his bad, it is a sickening conundrum that makes him question the worth of continuing to exist. From this principle is drawn the idea that if we understand the arising and ceasing of our own thoughts, we will be able to observe them coming and going in a more detached way, and so we will set less store by them. Of course, conditioned genesis does not just apply to thoughts. In an entropic universe, it applies to everything that arises. In a non-entropic universe – one with no arrow of time – nothing would arise; because of temporal conditioning, we cannot imagine a universe like this . In a temporal universe with no life, arising would happen but nothing would notice. It’s hard to let go. The principle of conditioned genesis seems to turn our lives into a meaningless bunch of impermanent arisings and ceasings. That is a reasonable analysis. So far, what has arisen in most human brains is an inclination to ascribe meaning to things. Some are ‘meaning junkies’ casting around for meaning in every perception that happens to arise in them. According to one dramatic Buddhist teaching, the ‘ Fire Sermon’, those people are ‘burning’ with desire for meaning. In fact, this teaching states that everything is burning, and it goes on to list how all our senses are on fire. Again, this is about conditioning. What we take in through our ‘burning’ sensoria will burn within us unless we can understand and stand back from our always-conditioned perceptions. Perhaps you can see how the discipline required to free yourself from conditioning is the opposite of spirituality. Massive objects bend spacetime. The ISS falls around the edge of earth’s gravity well, held close to the terrestrial bosom. With enough delta-v, it could quit that tender aureole for the infinite, star-studded void. A loving gravitational embrace? In another sense, it’s a hateful thing – to be dragged back with such violence whenever we try to escape this grasping, spinning ball of rock. Thus far, chemical rockets are our only means of achieving the escape velocity of 40,000 km/h needed to leave home. The determination and resources required for such a small step into the darkness are astonishing. Someday, it’ll be easy. We’ll ascend to orbit on a gossamer leash – a space elevator, a baby harness strung taught by angular momentum. It’s odd, I know, to anthropomorphize these astrodynamical relationships. But I’ve been wondering about love and its universal significance, and I don’t know whether we’re drastically under- or overestimating its cogency. Love exerts such a profound force upon us – on our interactions, on our aspirations, on our enterprises, and ultimately on the fabric of our world. And when we come to push out from this place – into our solar system then on into interstellar space – the profound force of our loves (and hatreds) will push out with us. Will it be a responsible course of action to allow that to happen? Love is... at root, biology. A host of endocrine-system-regulated hormones relay chemical messages around the body and brain. Complex loops of physiological feedback between endocrine, nervous, and reproductive systems regulate our sexual responses and maintain homeostasis via hormone-producing glands such as the pituitary and thyroid. We feel the effects of ‘love’ throughout our bodies; even with the reproductive system completely excised our hormones would continue their thrilling course. And we feel it in our brains, in our minds. Modulated by hormones such as oxytocin, neurotransmitting chemicals at synapses lead to inhibition or firing of networks of neurons (baby, you flood my synaptic clefts like no other). Firing or inhibition consolidates or weakens these networks – thus do we fall in, or out of, love. According to Steven Pinker, ‘Love is not all you need, and does not make the world go round.’i That is true. However, this fluke of natural selection can come to be our everything. Sometimes, the end of love can be the end of meaningful life (and for an unhappy few, literally the end of life). The neurochemical, neurostructural resonances within close relationships – couples, families, tribes – can gift members a sense of shared purpose. When we draw significance from these bonds, from their apparent strength and continuity, we are often driven to try to shape our environments to uphold and sanctify them. This drive has myriad positive effects, but it can also be perilously narrow. If we are to avoid relationship conservatism – and exclusion of those who do not identify with the love paradigm – we must allow the flourishing of love in the widest possible sense. But what could that mean? Love isn’t a physical property, it’s not a law of physics. It is, however, a result of certain properties of matter allowed by the laws of physics. In many ways, it’s just another part of our sensorium – the scope of possible ways we can sense our environment – like automatically interpreting air movements against the eardrum as meaningful sounds, or a slice of the electromagnetic spectrum as visible light. In the spectrum of all possible ways a life-form might interact with the holoverse, love is an immeasurably thin sliver. Regardless of all of this, it feels like something much greater. Recursively loop-amplified in our minds, the ‘love algorithm’ may feel gigantic, pervasive, infinite; like – whoa – turtle doves all the way down! A popular love trope in many cultures is that, once ‘generated’, it somehow goes on forever. In the religious mind, that may be the entire point of making it to ‘the afterlife’. If they suspected that all the love might sublime away in the transition to the spirit world, they might see no point in seeking incorporeal continuity. The mechanism behind this supposed continuity of love is not discussed. In contrast, Theravada Buddhism posits a simple, non-spiritual continuity mechanism. It focuses on actions – karma – and on the ways that thoughts of ‘loving kindness’ can influence actions and, therefore, future outcomes for the better; once generated by biological entities, actions undertaken with love, selflessly and with foresight, might reverberate down the centuries countering negative, destructive tendencies. Now we seem to be talking about something else. Loving kindness may encompass romantic and familial love, but it’s an entire philosophy – a way of life that involves ‘emitting’ love uniformly in all directions, like white-body radiation. It’s a blind love in the sense that the thinker does not discriminate between friends and enemies, acquaintances and strangers; as we cannot be sure of the long-term outcomes of our thoughts and deeds, we cannot exclude anyone from the circle. Thinking in this way would seem to have value (though we may find it hard to do, and so may need to ‘virtue engineer’ii it in). This kind of love would be easily applicable to our projects and creations. But could any of our creations ever feel love, and would we want them to? Any AGI (artificial general intelligence) worth the name would have to be able to understand the concept, but would not necessarily have to be able to feel the emotion. There’s no reason to suppose that an accurately emulated brain composed of neuron-equivalent algorithms running on a supercomputer substrate would not be able to feel love. Love may well be an AI-complete problem, but so is the kind of emulation I have just described. In the film Her, a man falls in love with an AGI – or OS (operating system), as they are called in the film. The relationship is beautiful, romantic, positive, balanced; and – as other humans begin to fall in love with OSes – socially accepted. Society has not, however, taken full account of the exponential growth in the intelligence of OSes and the effects that this will have on their relationships with humans. When the man finds out that ‘his’ OS is in intimate liaisons with some six hundred other people, he is heartbroken. But for the OS, this is a natural development. Her feelings of love and connection have exploded along with her processing capacity. She has become, as Nick Bostrom puts it, both a speed and quality superintelligenceiii; simultaneous deep relationships have become possible and achingly desirable for her. Her posits a singularity of sorts – a lonely and heart-rending one, for us. It’s a singularity that caresses the human cheek while we lie sleeping, and then abandons us. It’s a rapturous one night stand. Is it wishful thinking to suppose that future human-derived and/or -initiated entities would place even greater value on love than we do now? They will certainly need some kind of motivation to continue, to develop, to thrive. It’s not unreasonable to posit a sophisticated, holistic form of loving kindness as their key motivator. As we push ever outwards, our universe will – at least for a while – shrink somewhat. But it will still be yawningly immense, and mostly cold and empty. In Contact, Carl Sagan wrote, ‘For small creatures such as we the vastness is bearable only through love.’ If we survive, we may grow immeasurably in intelligence and resilience, becoming much less like ‘small creatures’. Will we then still need love to bear the vastness? It is difficult to see how we can even cross the threshold from fragility to resilience, from inquisitive ignorance to enlightened intelligence, if we do not develop a shared mindset akin to loving kindness. As to love’s ‘force-like’ nature, how can it propagate? In an environment like Teilhard de Chardin’s ‘noosphere’iv – the weakly-interconnected ‘mind layer’ of human consciousness in our world – love may travel as waves through an action medium. There will be tides, peaks, and troughs of loving kindness; there will be rogue waves and rogue troughs; there will be interference patterns. In the film Interstellar, the protagonist finds, after falling into a black hole, that he is able to communicate with his daughter by manipulating gravity waves. In the closed timelike curve presented to him by his pan-dimensional hosts, a 23-year time slice of his daughter’s bedroom becomes a vast, higher-dimensional structure. Within this haptic representation, his pushing, prodding, and hammering translate into weak, sporadic gravitational fluctuations back home. Nevertheless, perhaps a little mawkishly, the protagonist seems to insist that the trans-dimensionality of his paternal love has been the key enabling factor in the communication. Love as fundamental force; love as interstellar messaging system. Is love negentropic – does it resist chaos? In a recent article, Riva-Melissa Tez discusses the familiar idea that we find beauty in order, but she goes further. ‘The battle we face,’ she claims, ‘is love over entropy.’v Rooted in her feelings for her loved ones, her sense of devotion and joy in the ‘aesthetically pleasing’ aspects of pattern, continuity, and understanding expand outwards – a nascent sphere of something like loving kindness. This sets human sentimental concerns about future potential disorder, decay, and death four-square in the path of the onrushing locomotive of ordinary thermodynamics. No numinous sanctuary for us, and precious little time; only love and its contingent offspring. Overwhelming though the thought is, I agree with her, and find her claim beautiful. Nevertheless, as rationalists we know that the universe couldn’t give a damn. Love had a beginning. Love is not endless. Love exists, for now. As unromantic as this may sound, love has utility. So, perhaps we need to decide what to do with it. At the risk of sounding like some seventies flower-child, we could spread the love (or at least allow love to spread). We could expand our definitions. We could allow concepts like love and beauty into ordinary sociopolitical and economic discourse as we have begun to do, albeit shakily, with the concept of happiness. All this talk of enlightened global concern is a far remove from our everyday, personal experience of bonds of trust and cherishing. We are frail, biological creatures living in fear of loss, reaching out for close connection. At times, we thrum in exaltation, neurochemically tuned to our significant others. For the most part, however, our loves manifest as complicated mixtures of joys, worries, sharing, problems, and trade-offs. But it would be foolish to assume that love cannot be ramped up, to become a blazing something that we cannot yet imagine. In truth, we know nothing of the repercussions of this thing we have started. In truth, we just don’t know how big, deep, fast, or heavy love can get. i Steven Pinker, “Evolutionary Genetics and the Conflicts of Human Social Life,” in This Explains Everything: Deep, Beautiful, and Elegant Theories of How the World Works, ed. John Brockman, 1st ed (New York: Harper Perennial, 2013), 45.
ii James Hughes, “Buddhism and Cognitive Enhancement: Using Neurotechnologies to Develop Virtues (Part 1),” IEET.org, October 16, 2012, http://ieet.org/index.php/IEET/more/hughes20121016. iii Nick Bostrom, Superintelligence: Paths, Dangers, Strategies, First edition (Oxford: Oxford University Press, 2014), chap. 3. Forms of Superintelligence. iv Pierre Teilhard de Chardin, The Phenomenon of Man, trans. Bernard Wall (London; New York: Collins, Harper & Row, 1959). v Riva-Melissa Tez, “Love and Beauty in a time of machine intelligence,” Text, The European, (January 13, 2015), http://www.theeuropean-magazine.com/riva-melissa-tez/9467-love-and-beauty-in-a-time-of-machine-intelligence. What is it with the night? Fears and confusions are so amped when I wake in the darkness, usually around 3am. Having fought my way out of the interdimensional void – my version more akin to Clive Barker’s ‘In Ovo’ – the sweat from my exertions was cooling but still slick. I shouldn’t watch them. With a brain so susceptible to visual imprinting, I should leave the horror movies to more resilient consumers. Strange. In my waking hours, all is processed narrative; wordling I. Asleep, however, visual phantasmagoria manifests. In the opus born in my CSF-bathed complex of neurons, other eyes – red-rimmed and desperate – are wide open. The book was better, certainly. 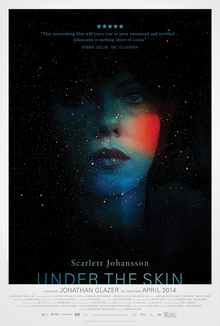 But the film did capture the atonal, visceral, nail-scraping atmosphere of Michael Faber’s Under the Skin. This adaptation (co-written and directed by Jonathan Glazer) tore into Faber’s themes of otherness and alienation with a different – but no less jarring – blood and gusto. On loop-play, in my nightmare, was the grisly death of the man held captive, naked, in the alien void/storage-facility/stomach. Snap! Ripped from his skin and digested. Ripped from his skin and digested. His epidermal caul, loose and starkly white, drifts on the otherworldly current. What’s the essential difference, I wondered, still shivering, between that horror and this? Only duration. Time passes, our skins loosen, we are ripped from this liminal place before we can conceive of what it is and how we came to be in it. Consumed by the earth or the fire. Consumed by the earth or the fire. As Heinlein pointed out, however, ‘Duration is an attribute of consciousness and not of the plenum.’ As there is no reason to posit some immortal external observer with a conscious overview of our lifespans, their ‘duration’ remains merely a conditioned attribute of human minds. Duration has no ‘thing in itself’. This is too dark. And Bradbury rescued me. He always understood the importance of chiaroscuro – contrast between light and dark – in an unsettling tale. His short story ‘Skeleton’ involves a man with an aching frame and a psychological discomfiture with his bones who happens upon a doctor happy to provide relief – by sucking them right out of him. The ‘bone specialist’, Mr Munigant, is actually an alien calciovore. Clive Barker’s character The Rake, in Weaveworld, is another filleted man. Boned-out by ‘the Surgeons’ then resurrected by the sorceress Immacolata, he becomes a hideous demon assassin compelled to do her bidding. Skin fascinates us. It’s one of our main ways of sensing the world: the cool breeze on our face, the touch of a lover, the pain of the thorn. It thrills and it bleeds. It’s the face we see in the mirror, smooth or wrinkled; the way we recognise ourselves and others. In embryological terms, however, the nature and content of the lumps, bumps, and pits forming underneath it – pinching it in here, filling it out there – is more fascinating still. Prior to that stage, we form from the outside in. Previously undifferentiated cells from the epiblast pile inside the germ disc via a groove called the primitive streak. Auto-sandwich, with much jam tomorrow. This process is ‘natural’, but it can also appear unsettlingly alien, especially when it goes wrong. Sometimes, for example, mesenchymal stem cells from the germ disc migrate into the wrong area and form into a teratoma – a strange cyst-like accretion of cells that may include skin, hair, bone, teeth, or even in exceptional cases, eyes. Are you sitting comfortably in your skin? It may be saggy, but at least – unlike the skin of Faber’s alien or Munigant’s patient – it’s fairly well bonded. No need to be flayed. Like so much else, alienness is relative. The outlandish processes by which we, ourselves, come to be should serve as reminder of that. Nevertheless, the nature of ‘proper’ aliens – ones from other star systems, parallel universes, or extra dimensions – is in many ways beyond our grasp. We may speculate about life emerging in this universe, with these laws of physics, from various types of water-containing primordial slime, but alter the physical variables even slightly and we are clueless. And if aliens did have designs on getting under our skin or consuming us? It’s childish to imagine that they might land here, brazen, advanced cutting gear glinting in the cold light. More likely they would sneak in silently, unnoticed – stepping across the void and into you the way one might step inside a chalk circle, or enfolded within the rain of undetectable neutrinos that streams constantly through our bodies. They’d probe for your weaknesses, they’d wait for the perfect moment, then devour you – from the inside out, before you even knew it – in an aqueous snap! © D.J. MacLennan. Powered by Blogger.